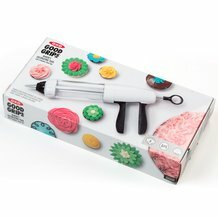 Our Baker's Decorating Tool Set is OUT OF STOCK, but we have ordered more! You are still able to purchase it now and we will ship it to you as soon as it arrives. Questions? Please call 1-800-438-5346 or email us at info@Lehmans.com. Put complete decorating control in your hands. 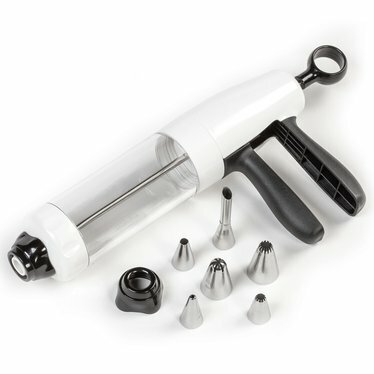 Our easy-to-use tool has a unique trigger for precise control of icing, so you can create intricate, beautiful designs as well as fill cupcakes and pastries. Comes with six stainless steel tips.